The second day of my trip to Bolivia I discovered Mate de Coca, a light tea made from coca leaves. Yes, it has coca alkaloids in it. Yes, it is contraband in the States. Yes, it is a very good tea. After Easter Almuerza, it was time to get to work. We had our first big set of presentations Monday morning and needed to edit our slides and practice our talks. Papá set us up in one of the work rooms at Los Tajibos and we got to work. After some futzing about with the equipment, we were able to use the flat panel display as a monitor and got after it. While waiting for my turn, I decided to have a cup of tea. (The coffee is generally instant coffee and not up to my standards.) I found this bag of green tea, made from the leaves of the coca plant. So, I made a cup of Mate de Coca. It is a very nice light tea. It has a slightly sweet flavor, even without sweetener. 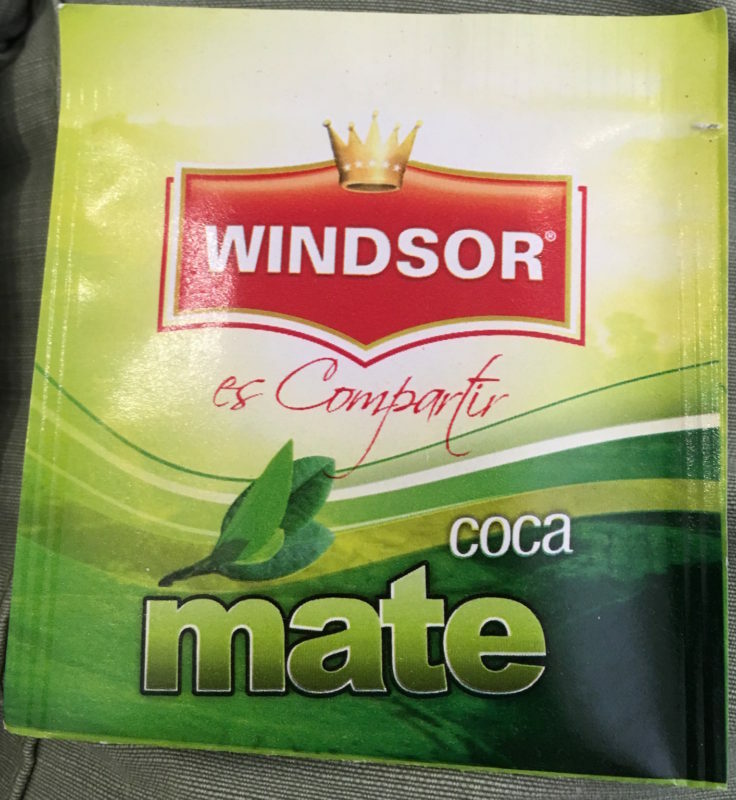 I did a little research on Wikipedia and learned that Mate de Coca contains coca alkaloids with a concentration of about 4 mg per cup of tea. A line of cocaine has an alkaloid concentration between 20–30 mg. My expectation is that ingestion by swallowing is very different than inhalation (or injection) and the impact of the drug is much changed in the tea form. However, on my return from Bolivia I would have tested positive for cocaine use because I drank the tea at every opportunity. Its use is being discouraged. It is contraband in the States. I really don’t see why, unless it were to be used to refine cocaine from the leaves. The tea is a mild stimulant and I don’t think one could easily drink enough of it to get high. The tea is quite good. When I get back to Bolivia, it will be one of my staple drinks. I like coffee in the morning and tea in the afternoon. I see no reason to change that habit and green teas are a nice change from black teas.